[Fixed] HandBrake Won't Scan DVD All Solutions Here! Admittedly, HandBrake is a neat and useful tool to help users get the videos they want to other devices. It's fast, reliable and comes with excellent quality. However, HandBrake won't always get the job done. Among those Handbrake won't rip DVD situations, many users were unfortunately blocked at the first step as Handbrake won't scan DVDs at all. If you're ripping DVDs with HandBrake a lot, you will be familiar with the following cases. *HandBrake won't finish scanning: "I had the an issue with HandBrake and Wall-E. It seems like Handbrake scanning source takes forever and but it never works." *HandBrake stuck scanning: "I'm am using Handbrake 1.0.0 and it worked great for about 3 small conversions. Now it seems to hang while scanning/loading the initial source file", "I downloaded handbrake and VLC 2.0 to my macbook and ripped several DVDs but when I put in one DVD and it begins the scanning process but gets stuck at "scanning title 9 of 14" and won't go past the scanning..."
Handbrake crashes/hangs when loading DVD: "HandBrake encode stuck at 00.00%. Handbrake 1.0.7 hangs/crashes when loading DVD movie." * HandBrake not showing titles: "I am trying to rip some dvds. When I use handbrake and select my DVD drive it says scanning... but Handbrake shows no titles or source, Handbrake not scanning all titles..."
... ... If you are having Handbrake won't scan source DVD, takes too long to scan/load, or Handbrake title drop down blank etc., you're all covered in this HandBrake won't scan disk troubleshooting guide. There are reasons why your Handbrake crashes when opening source DVDs, including DVD encryptions, Handbrake settings, system version, libdvdcss version, computer virus and more. If you are experiencing Handbrake won't rip DVD problem, try the fixes below. When you use Handbrake to rip DVDs, you should know that Handbrake alone won't rip DVDs protected with encryption schemes. If Handbrake is not showing titles properly, here are the solutions. For those who are non technical with libdvdcss or technical stuff, the easiest solution to Handbrake not scanning DVD is to switch to a DVD decrypter which works the same as Handbrake for non-protected DVDs. 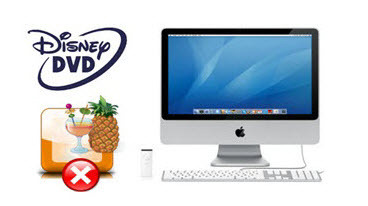 MacX DVD Ripper Pro is your best solution: it removes all protections like DVD CSS, region code, RCE, Sony ArccOS, UOPs, Disney X-project protection and automatically find the right title to rip to various formats. Fast speed & high quality. Handbrake won't scan DVD with protections, but it can take advantage of third party software to remove the decryption and read the disk. 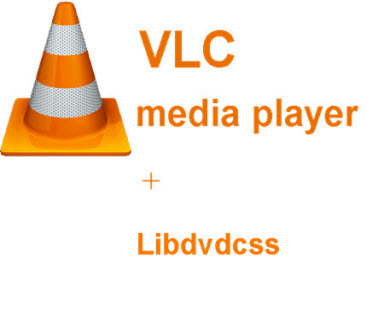 So before you rip protected DVDs with Handbrake, install VLC on computer. It's available for free download on its official site. Note 1: Users who upgrade the latest version of VLC, namely VLC Player 2.0; and those who upgrade OS X to El Captain or macOS Sierra may also have Handbrake won't scan disk problem. In this case, you can get the missing libdvdcss for Handbrake: download the libdvdcss.2.dylib file and place the file to Handbrake install folder and rename it to libdvdcss.dll (or rename it to libdvdcss.dylib and put it in the /usr/lib/ for Mac users), or install a copy of libdvdcss via homebrew. Note 2: You should note that both Handbrake and VLC should keep pace with the processor of your computer, namely 32 bit or 64 bit. Handbrake is available in 32-bit and 64-bit versions., but VLC has 32-bit versions, and 64-bit version for PC only. So you can't grab 64-bit VLC player for a 64-bit Mac. • Insert the DVD and launch your DVD player. • From the Go menu you can find the main title of the movie, and remember the number of the title. • Open HandBrake and open VIDEO_TS folder of the DVD. • Enter the title number in the title field and Handbrake will rip the DVD without crashing or scanning. Note: Finding right title with DVD player is simple for all users and requires no third party software. Only one thing to note here, if you have an enormous DVD collection to backup or rip, this way can be time consuming and extremely inconvenient. When Handbrake scanning source takes forever, the very first thing is to close Handbrake, and reboot it with Administrator access. Then try to check if you have installed the right Handbrake version or have the best Handbrake settings. • Download and install Handbrake (latest version) on computer. • Check if you install 64-bit Handbrake for 64-bit computer and 32-bit version for 32-bit computer (and also the version of VLC for protected DVDs). • When loading a DVD source, select the VIDEO_TS folder which will appear when you click the + beside the drive. • Check if the DLL file is damaged. • Scan your computer for malware or unwanted installations & improve performance. • Clear & Reset the computer cache. • Repair the system files if needed. • Changing Permission For That Application. Other common Handbrake DVD ripping errors you may concern include no valid source found, handbrake error reading from dvd, cannot rip DVD to AVI, doesn't rip whole movie, rip DVD to M4V not MP4, etc. MacX DVD Ripper Pro easily read DVDs with any protections like DVD CSS, region code, RCE, Sony ArccOS, UOPs and more. Eaily rip DVD to digital MP4 MOV MKV AVI iPhone iPad Android feature without problem like Handbrake not scanning DVD.